Tasty chicken curry with thick coconut milk gravy. The spicy flavor is captivating. Grind together ginger and garlic into a coarse form. Extract 1 cup of coconut milk from the grated coconut and keep aside. Heat oil in an non stick pan or kadai. Add onions and saute in a low flame. 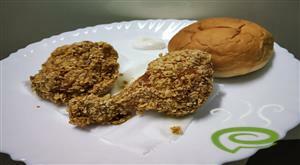 When it turns to golden brown, add green chillies and saute. Add ground ginger and garlic and saute well. Heat chilly and coriander powder together in another pan. Add it to the kadai followed by turmeric, pepper powder and previously roasted spices powder. Pour 1 tsp of oil into the pan. Add chicken masala and saute for 2 minutes. Add tomato and curry leaves. When tomato becomes tender, add chicken and saute, until its color changes. Add salt and half the coconut milk with little water(not too thick). When gravy thickens, add the remaining coconut milk and remove from fire. Fry chopped small onions and a few curry leaves. 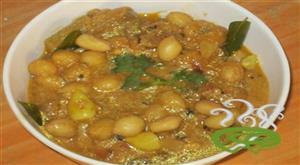 Pour it into the curry for garnishing and to enhance the taste and flavor. 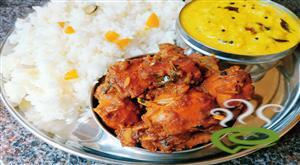 :-Serve Kerala Chicken Curry hot. SIMPLY SUPERB....!!!!!!!!! This was the first time I did a chicken curry and it came out so well tht I cudn`t really believe I did it... :)sure i would be trying this again.Thanx a lot for this wonderful recipe and keep posting. 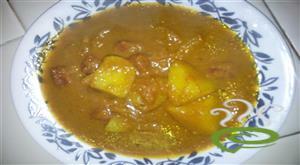 Thank you for helping me to make my first chicken curry ,and it turned out great!! !Keep up the good work. 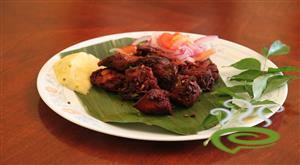 Thanks for sharing this excellent dish... tried this and it turned to be excellent . 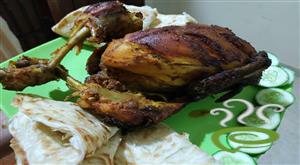 In fact i tried almost all the high rated kerala chicken dishes mentioned in this site(curry/gravy) and this one turned out to be the winner. Exactly the same taste of my sisters chicken dish. It was really excellent. Expecting more...thank you. 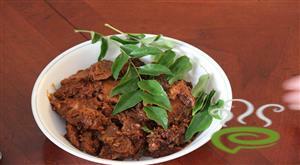 Sreekala - You are the woman!, good recipe. This was my first attempt to prepare a chicken gravy and it turned out to be THE BEST. Thanks very much. Aby. Hello, The recipe is pretty good. 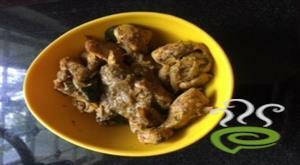 Can you mention the quantities of ingredients required to prepare this curry out of 6kgs of Chicken?? Hope you can help. Regards.